My new book, DIY Solar Power, is the culmination of years of work and experience with electronics, batteries and – of course – solar power. I wrote the book with the needs of multiple audiences in mind, including those that are just beginning to enter the world of solar power and those that have some prior experience but desire a deeper understanding of the subject to apply it to their own current projects. 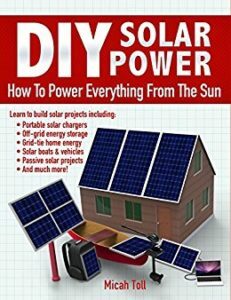 There are so many interesting and useful ways to employ solar power in your own gadgets, and I covered as many as possible in my book. Read more here. Nebraskans for Solar will have both books at our information tables for our community event this Thursday, February 1, 2018: Recent Solar Energy Developments in Nebraska With Ken Winston @ UNO’s Community Engagement Center, Rooms 201 & 205 Ken is director of policy and outreach for Nebraska Interfaith Power & Light. Additional details are posted on our calendar. The public is invited. Please join us! 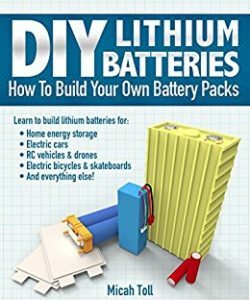 This entry was posted in NewsBlog, Solar Energy Education and tagged DIY Lithium Batteries, DIY Solar Power, Ken Winston, Micah Toll, Nebraska Interfaith Power and Light, Nebraska's solar energy development, Nebraskans for Solar NewsBlog, Nebraskans for Solar's February event on January 28, 2018 by Helen Deffenbacher.